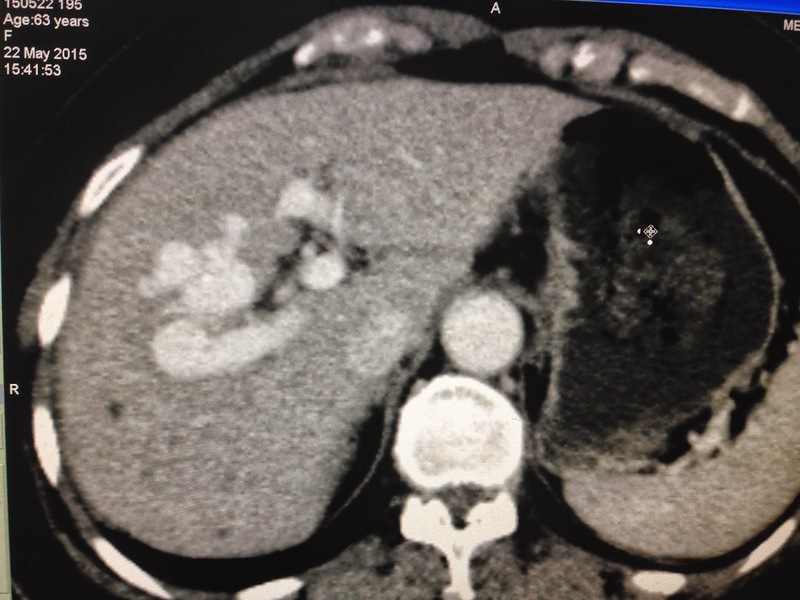 Woman 63 yo, 5 years ago had been treated diabetes not control blood sugar. Patient has some subcoma crisii that had been treated in many hospitals, now she is in somnolence, easy in sleeping after eating but cannot sleep at night. 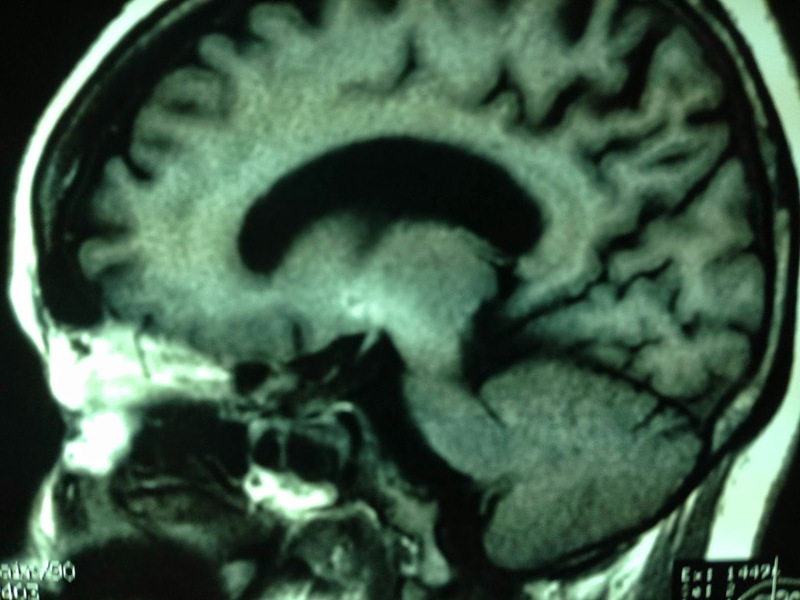 MRI of the brain, radiologist detected hyperintense T1 at basal ganglion area, susgested hepato-encepalopathy (image MRI). 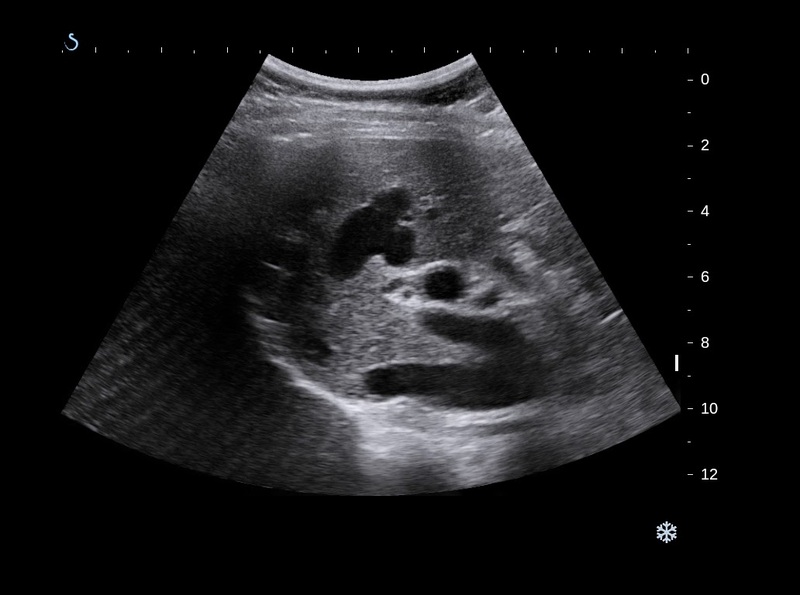 Checking the liver by blood tests, liver function is still good, but ultrasound of liver detected porta-systemic shunting very high flow ( see US image 1 dilatation cystic intrahepatic, US 2, color Doppler: porta-systemic shunting and US video). 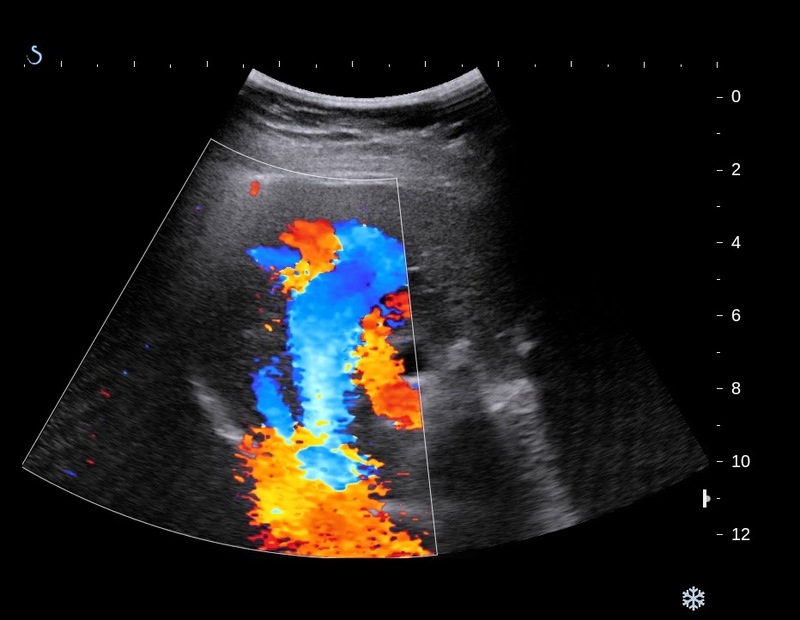 MSCT angio of liver with 3 phases: arterial phase shows that not abnormal ; venous phase : dilated the porta-systemic anastomosis like snake. 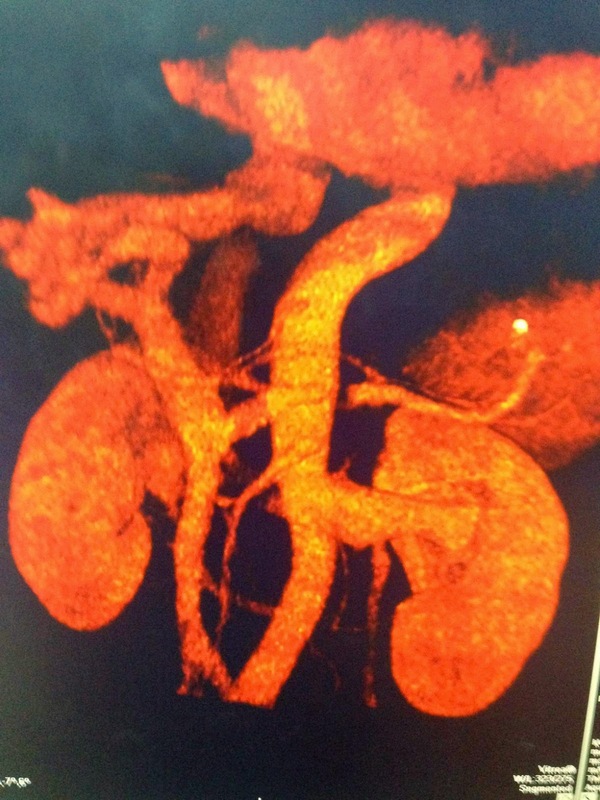 In 3D CT reconstruction confirmed a high flow porta-systemic shunting). Bood test reports this time no ceton, high NH3 = 88.89 micromol/mL (normal 18-72). 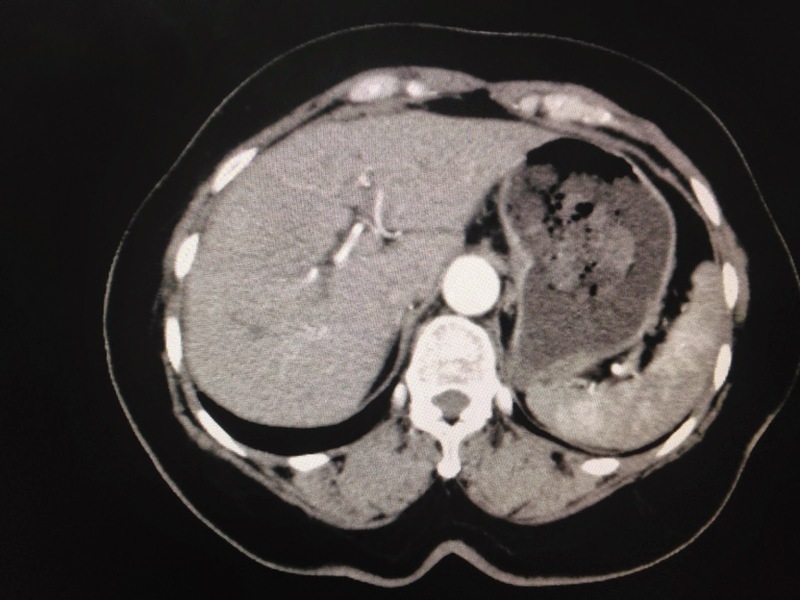 Conclusion: It is a high flow spontaneous porta-systemic shunting appeared as hepatic encephalopathy in clinical examination.